Garth holds a BSc. in Mathematics and Economics from the University of Manitoba, in Canada and has completed many professional development programs in Sales, Community Social Responsibilities, Learning & Development, Retail and Commercial Banking. Has worked as a senior leader in various areas of financial services domestically and internationally. He is an experienced business development and leadership executive with over 20 years of analysis, client relationship & business development skills. He was a Director of Business Development and Relationship Management at the Canadian Securities Institute (Moody’s Analytics,) where he managed large corporate client portfolios for firms like the TD Bank and RBC. 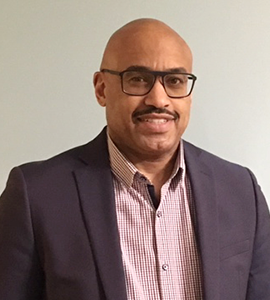 He has also worked in senior leadership roles for financial organisations such as – AIC Corporate Finance (Trinidad & Tobago) and First Citizens Bank (Trinidad & Tobago). Furthermore Mr. Gibbes has worked in the areas of Human Capital & Workforce Development, Mentoring, Coaching, Management Consulting, Retail, Commercial and Private Banking, Learning & Development and Risk Management. Garth has excelled in his leadership capabilities and always strives to make his employees better. He is a great listener, communicator and shares his expertise on a consistent basis to assist in transforming people for the sake of themselves and their organization. Garth possesses strong project management and research skills and is well experienced in eLearning program development, diversity & inclusion and classroom training.